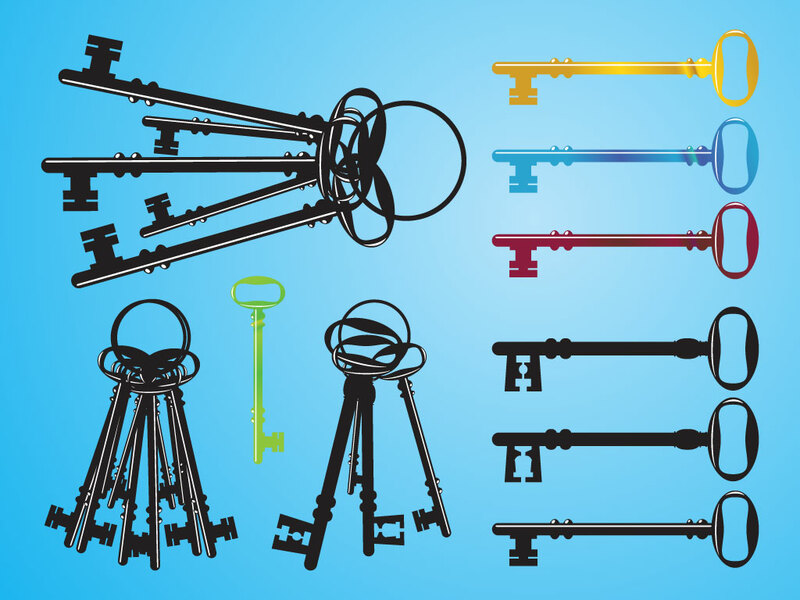 These cool vintage style keys will work great on your locksmith and real estate designs. Keys are symbolic of unlocking and locking, allowing entrance or solving a puzzle. Add these to your vector library and you'll use them over and again. Tags: Antique, Door, Enter, Keys, Lock, Protect, Real Estate, Unlock, Vintage.